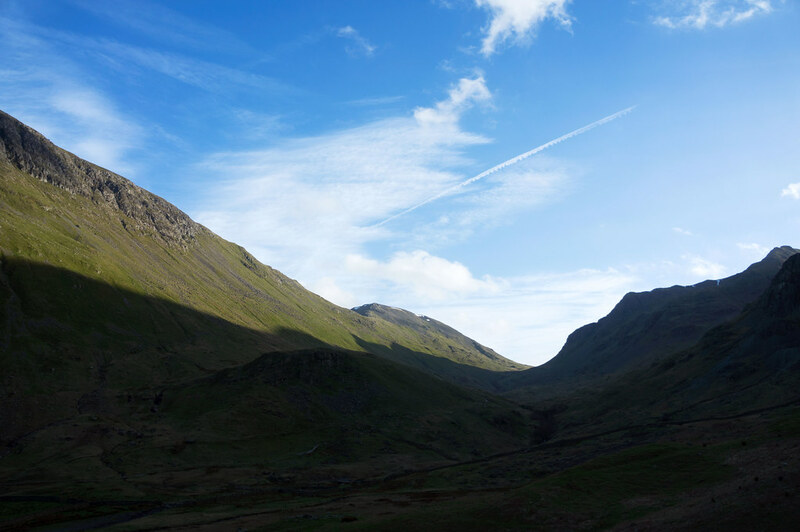 After a calm night I wake up, have breakfast and smile because the sun is shining as I head up towards Sca Fell. I continue to smile, even as it gets more and more cloudy the nearer I get to the summit. 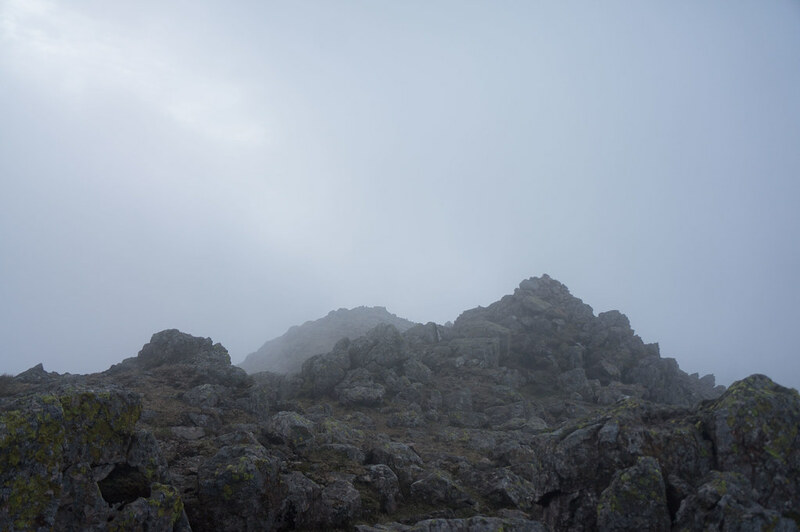 Once there, the summit is indeed dressed in clouds as, accompanied with a stiff breeze. Hardshell top and bottom come on, down I go. 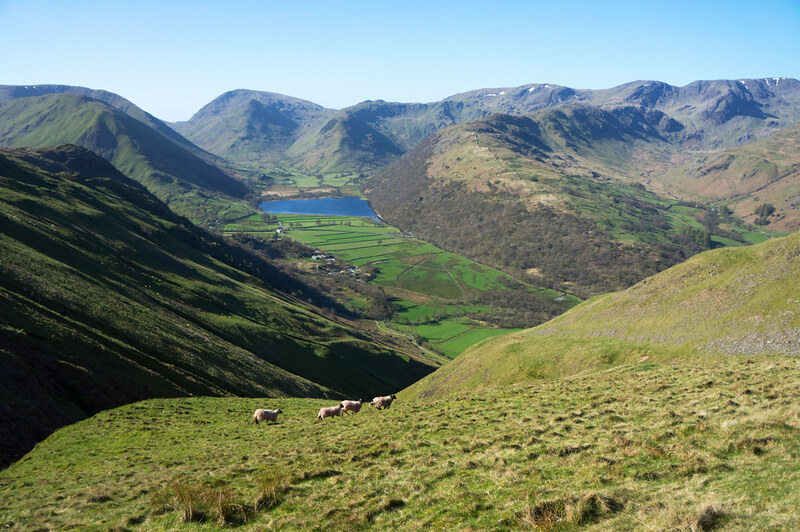 The descent to Foxes Tarn is nice though you should be sure-footed. The place itself looked clean and inviting for a camp, but I continued. 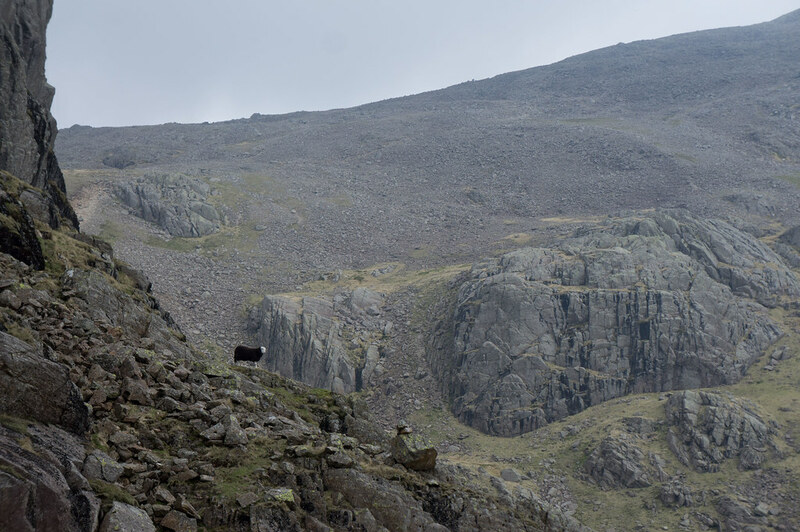 Down a scrambly bit to the path up Scafell Pike. Good fun that section! Up on England’s highest hill I snap a Selfie and walk on. Views are good, people few. 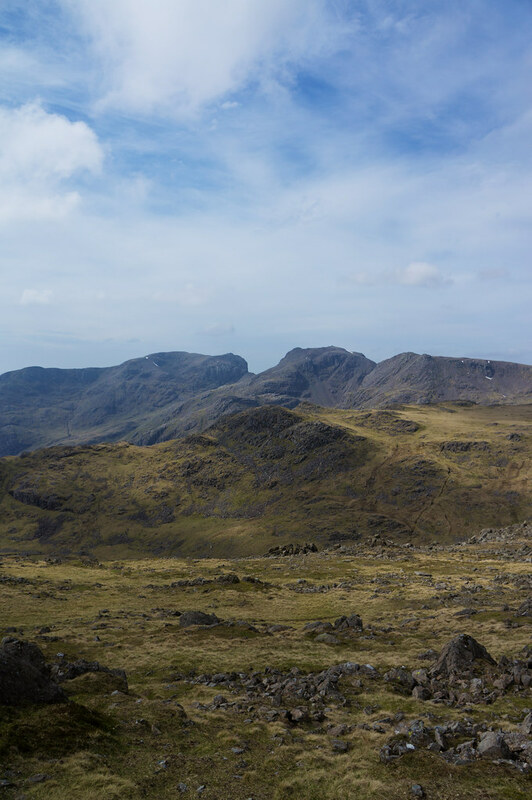 But it are the views from Bowfell that I enjoy most. 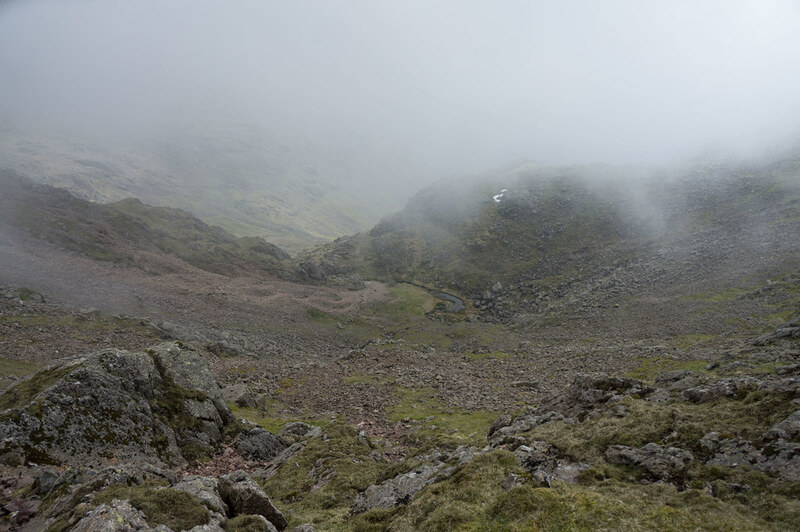 I descend via the Flat Slabs and head onwards to the Old Dungeon Ghyll Climber’s Bar. A fine Ale, soup and a roll are consumed, and with not much enthusiasm I leave the fine establishment behind. 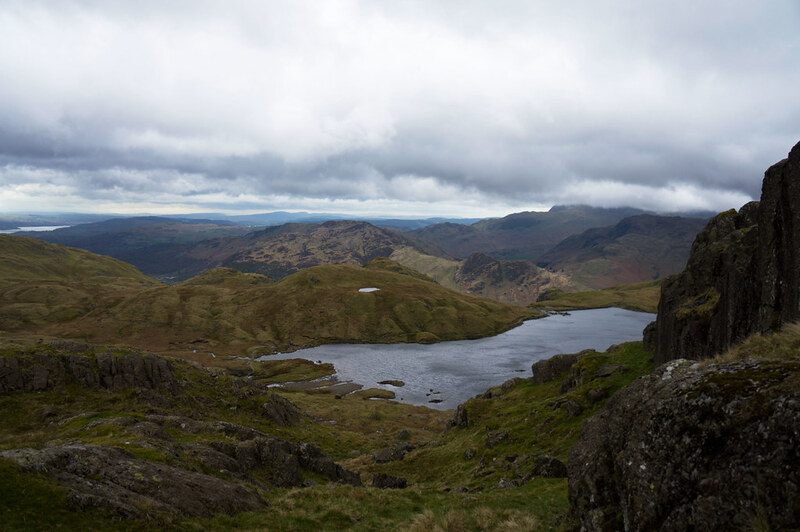 My route takes me up to Stickle Tarn, where I count four other tents around the lake! 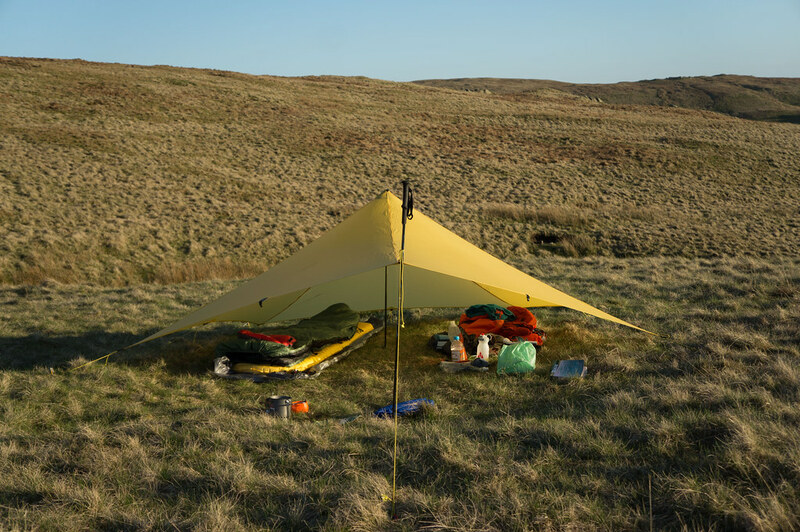 It’s windy and I’m soon in my quilt after a hot meal. 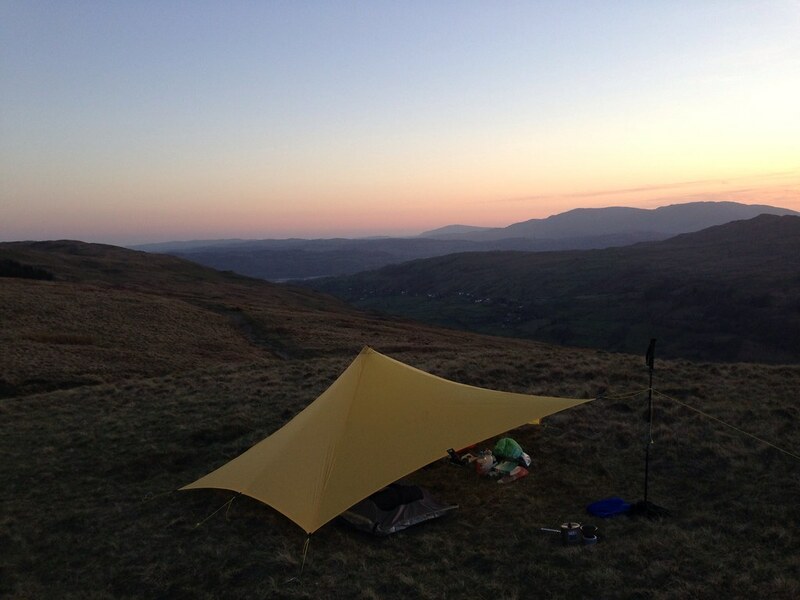 It is a fiercely windy night and past midnight a couple descends to the valley past me under my TrailStar. Rain sets in occasionally. I drift in and out of sleep, and with dawn I’m up. The Coleman gas canister is empty (after just 3 l of water boiled!) and so I can’t have my morning coffee. 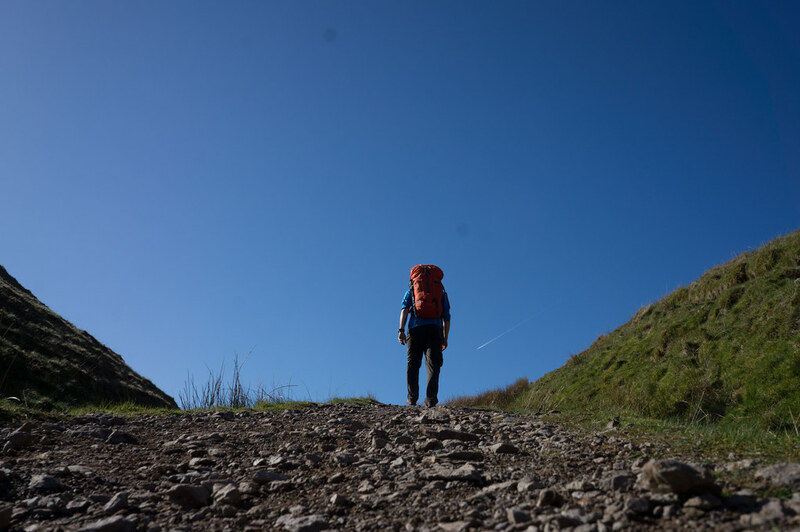 Up I go, forgoing the scramble I came for. 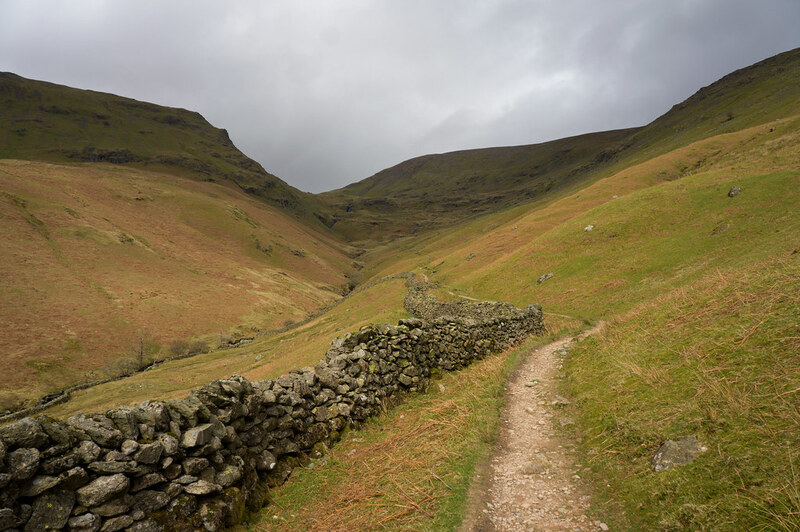 Drizzle and wind accompany me on my way to High Raise and onwards to Calf Crag, Gibson Knott and Helm Crag, before I descend to the village of Grasmere. 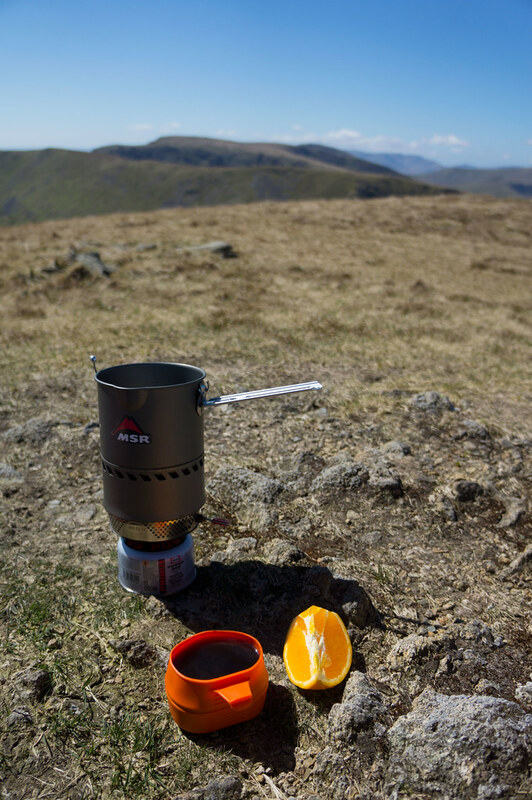 I buy a new gas canister and fruits, have a coffee and soup and head up Grisedale Tarn. The weather improves and the sun breaks through. 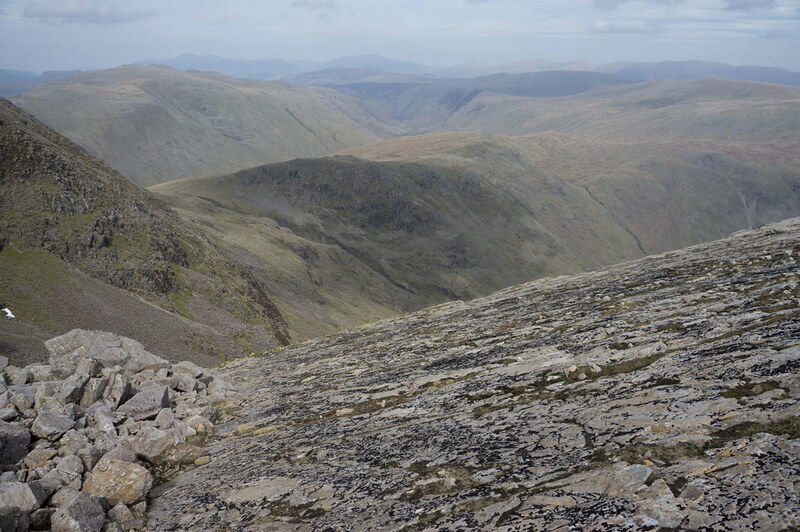 My plan to go on to Helvellyn and walk its Ridges is dropped in favour of a low camp. 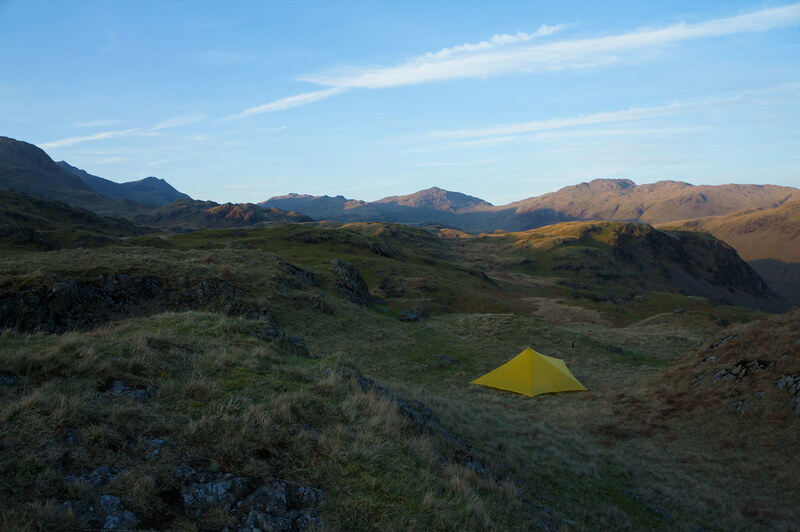 But the valleys are private land and I don’t feel like sneaking into one of the woods to pitch my TrailStar and so end up in the Youth Hostel in Patterdale. A hot shower is enjoyed, and a good sleep is had. Breakfast on the sofa, packing with plenty of space, wall to wall sunshine awaiting me. 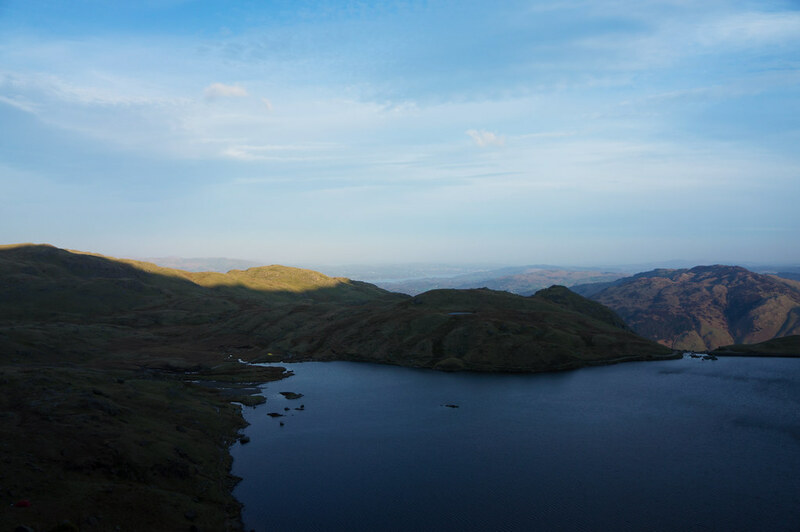 Up to Angletarn Pikes. A lovely hill with fine views all the way. 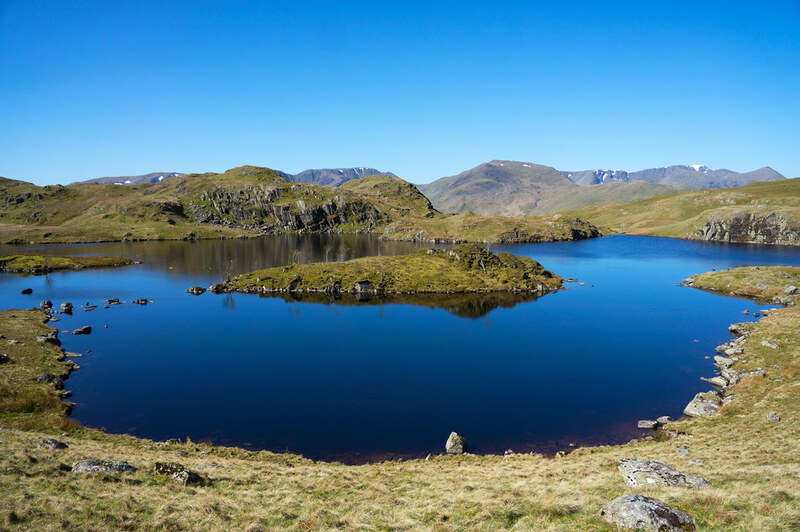 Angle Tarn is a wonderful place and would make a fine camping spot. Birds are swimming on its clear blue water, while the sun reflects in ripples as a slight breeze sweeps across it. 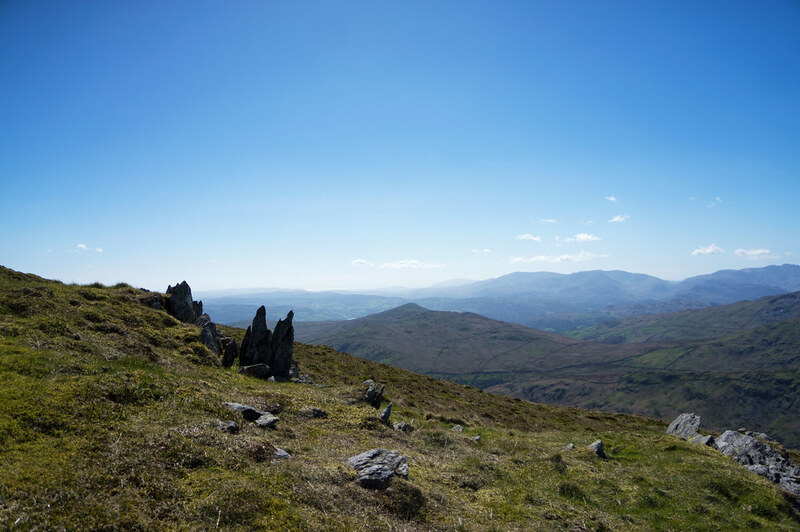 The views from up here are magnificent, further enhenced by the superb weather. 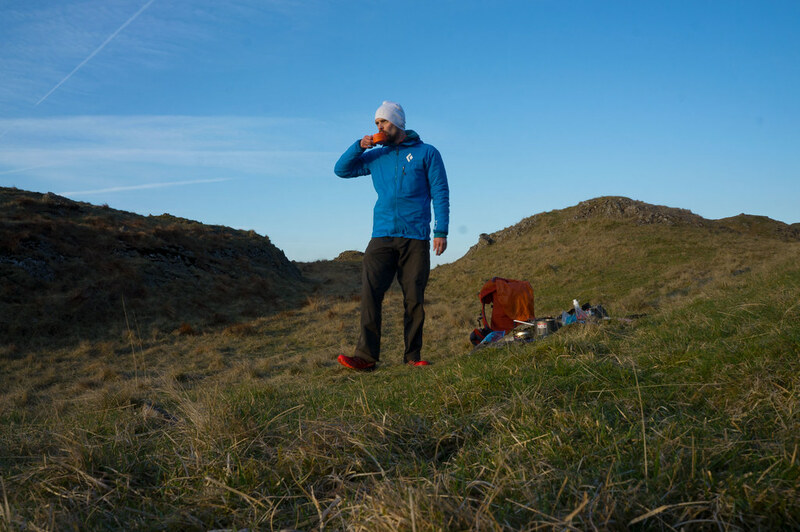 I walk with an open wind jacket and cuffs up, but soon decide it’s time to hike in my T-Shirt. 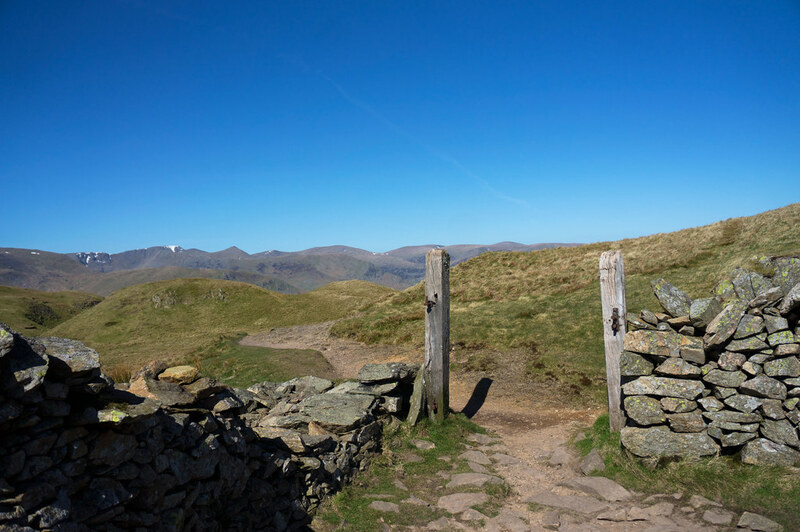 I take the faint path up Rest Dodd before heading down and up to The Knott. Time for coffee and Vitamin C in the sun, there’s no hurry anywhere. 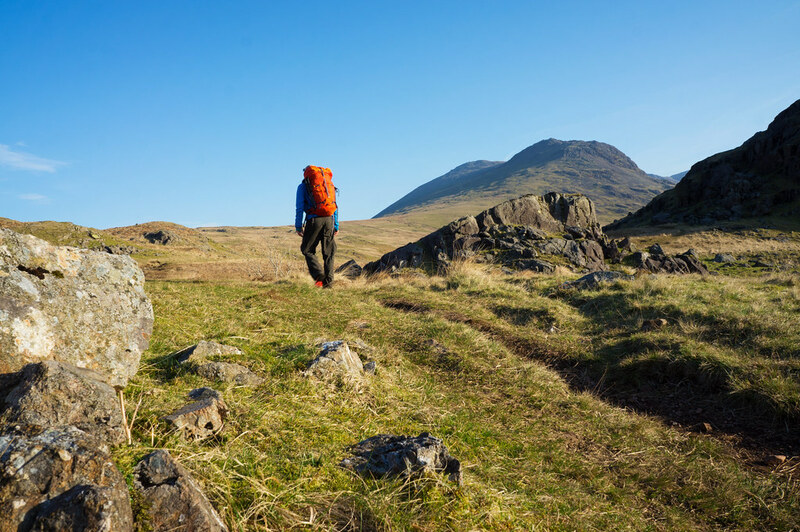 I stroll onwards to the High Street where plenty of day hikers enjoy the great weather. 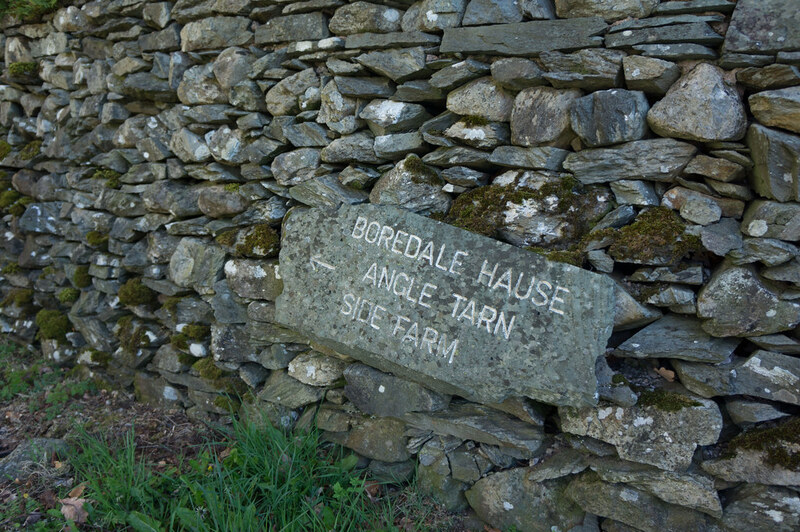 I shortly ponder a stroll up and down the Riggindale Crag, but decide to head onwards to the Thornthwaite Crag. 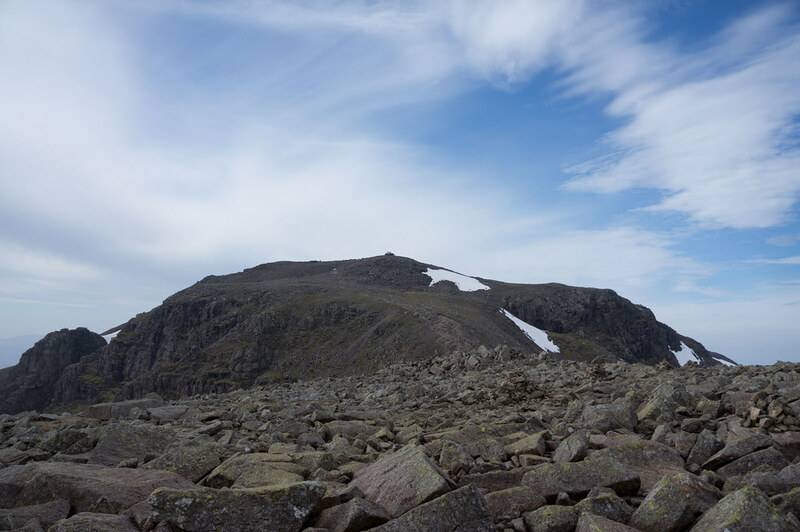 A large cairn marker (more a tower, really) spends shade that is welcomed in this hot weather. 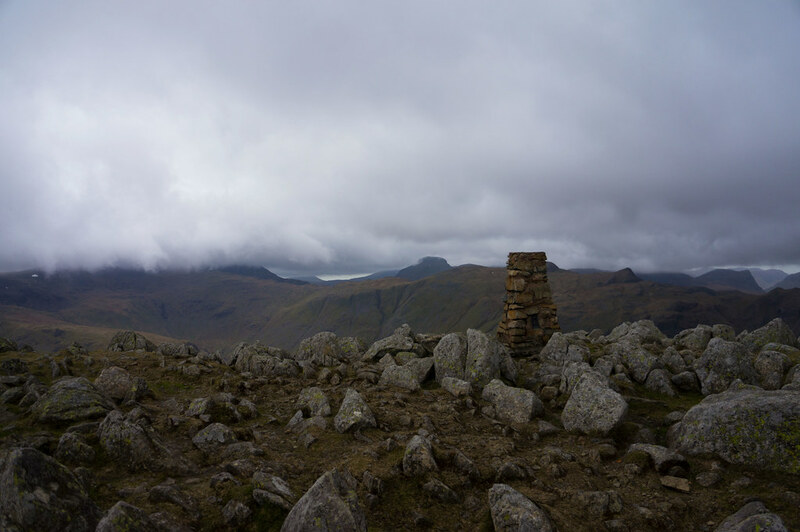 The impending ridge walk of Froswick, Ill Bell and Yoke has me smiling ear to ear. Then water runs low and so I am looking out for water. Close to the Garburn Pass I find a gurgling stream and the Playtypuses are filled up and emptied right away. Tasty. So why not stay? I do. 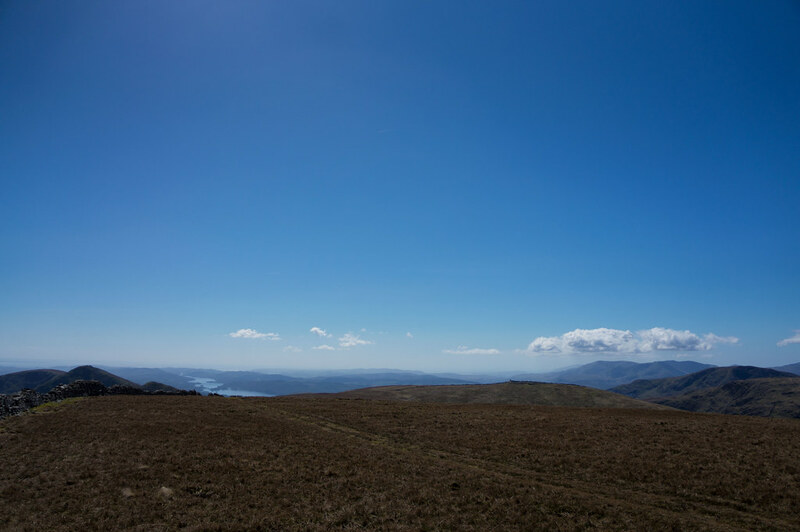 It’s beautiful and I love the views - Windermere to the south, the high hills to the west, crags, grass and sheep to the north and east. I have a mighty fine evening up on the hill, and fall asleep under the stars. The next morning the weather is again on repeat: Blue sky and sunshine. I take it slow, enjoy the last bit outside, but am soon enough on the trail. 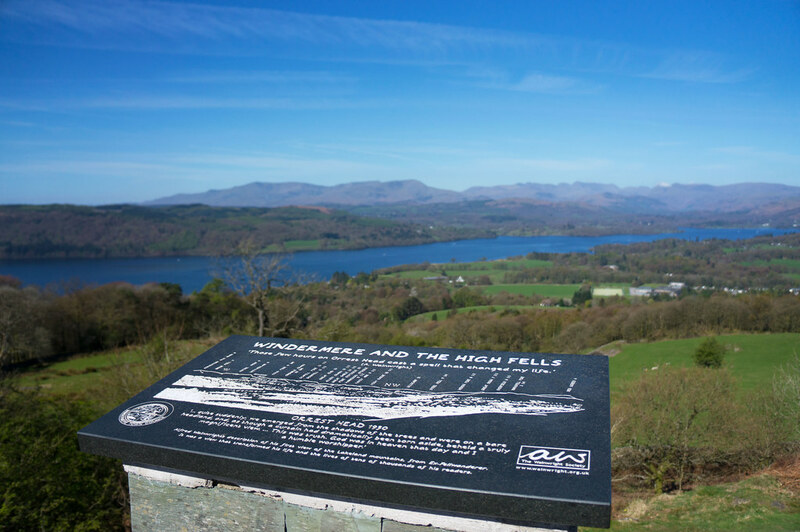 Then I arrive at Orrest Head, Tourists being delighted by the view to be had from here. 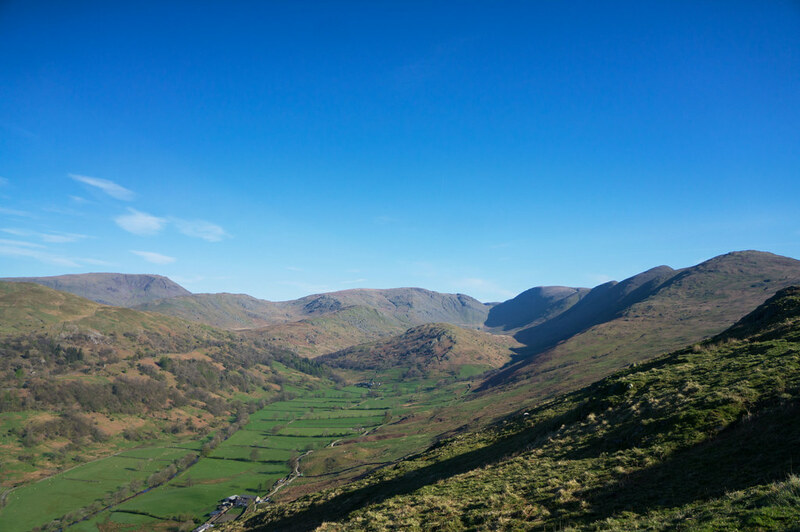 And also I smile, even as know that this will be the last time I will lay my eyes on the hills of the Lake District, those fine small mountains whom I just traversed. And so I walk down to the railway station, happy to return in the future. More photos on Flickr. Follow along on Facebook, Google+ and Twitter.